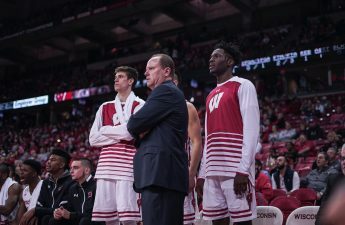 Games are never over before they start, but the University of Wisconsin men’s basketball team hardly belonged on the same courts as Idaho State Wednesday night at the Kohl Center. The No. 17 Badgers (8-2) demolished the lowly Bengals (1-8) 78-44. The game was never close, as Wisconsin began the game on a 21-3 run over the game’s first 11 minutes. The Bengals had more turnovers than points until 5:29 left in the first half when they reached 10 points. Their 4-for-11 clip from 3-point range aided their attempt to chase down the Badgers, but they shot just 33 percent (16-for-48) from the field on the night. Seventeen turnovers did not help Idaho State’s cause, as simple tasks like perimeter passes and shooting 3-pointers resulted in changes of possession. The beating that Idaho State took nearly drove its head coach, Bill Evans, to the bottle. 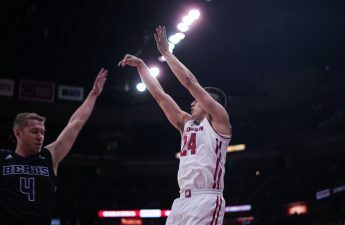 Wisconsin took advantage of its opponent’s inferior talent and won its fourth-straight game, making this home stand a success. UW beat Prairie View A&M, Syracuse, Oklahoma and then Idaho State by an average of 31.5 points. Wisconsin held Idaho State to a season-low point total by an opponent. Idaho State’s leading scorer coming into the game, guard Ethan Telfair, managed just two points with fifth-year guard Zak Showalter shadowing him all night. UW head coach Greg Gard said his team’s defense was sharp for most of the evening. Showalter said the key to slowing Telfair down was not letting him get comfortable and that it was a team effort. Senior forward Nigel Hayes (11 points) passed former Badger Frank Kaminsky for ninth all-time on UW’s scoring list (1,458 points) with a free throw four minutes and five seconds into the game. 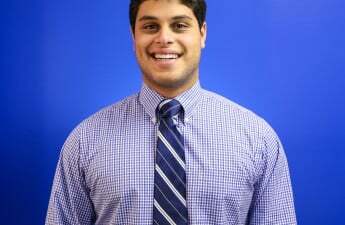 Hayes will now chase Mike Wilkinson for eighth place (1,532 points). 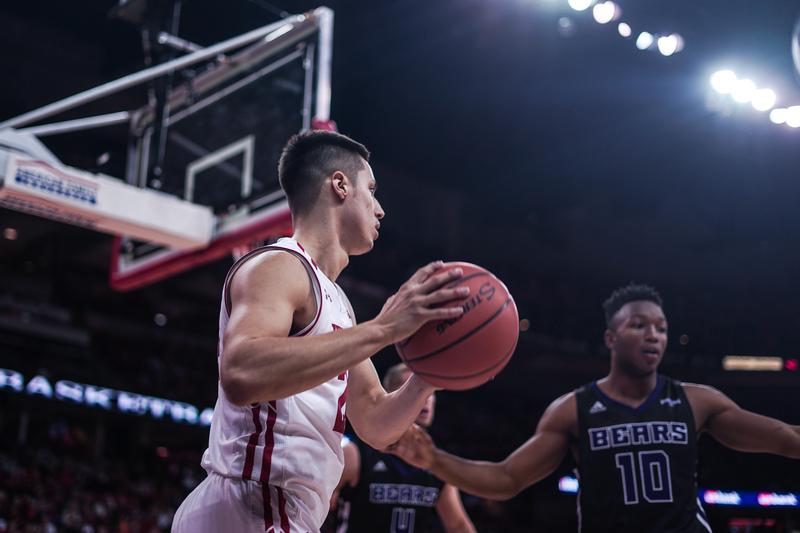 Bronson Koenig scored a game-high 21 points in just 17 minutes, as foul trouble kept the senior guard on the bench for the majority of the first half and the blowout allowed him to remain there. Redshirt sophomore Ethan Happ recorded his fourth double-double of the season with 12 points and 12 rebounds. Freshman guard D’Mitrik Trice played a team-high 26 minutes but was just 1-for-5 from the field. It was a solid shooting night for the Badgers, as they shot 52 percent from the field and made 6 of 20 3-pointers (30 percent). The Kohl Center lacked energy all night, understandably. Khalil Iverson’s alley-oop from Trice brought life into the arena, but for the most part, sneakers squeaking against the hardwood floor and coaches instructions were audible throughout the game. UW’s 17 forced turnovers was a season-high. Over the last two games, Wisconsin has forced its opponents to turn the ball over a combined 33 times. Wisconsin, and Hayes, in particular, continued its woes from free throw line. Hayes shot just 3-for-8 from there and the team finished at 12-for-22. Balint Mocsan led the Bengals in scoring with 10 points. 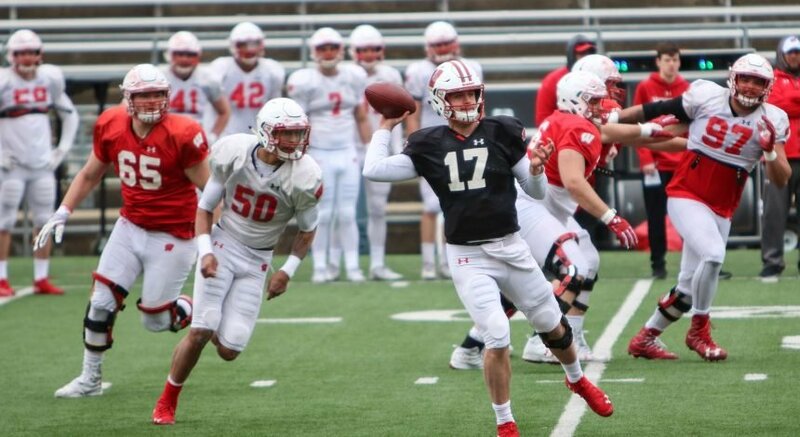 The Badgers now move on and prepare for rival Marquette University in Milwaukee on Saturday. Tip-off is at 1 p.m. CT and will air on FS1.